Mumbai: The leading trade fairs for laboratory technology, analysis, biotechnology and diagnostics – analytica Anacon India and India Lab Expo took place in Mumbai from April 25-26, 2018 at Bombay Exhibition Centre. After completing 10 successful editions, Messe Muenchen India organized the trade fairs in the financial and business capital of India, in addition to its annual flagship event in Hyderabad. The debut edition brought together more than 100 exhibitors and gathered 3713 trade visitors in just two days – getting an overwhelming response from the western market. Another exciting feature was the India Bio-Pharma Landscape Conference – which was a gathering of industry stalwarts discussing the latest manufacturing innovation available in Indian biopharmaceutical market. Alongside the conference was – Anacon Technology Showcase – where the industry experts shared their insights pertaining to the state-of-the-art analytical technologies prevailing in the market. 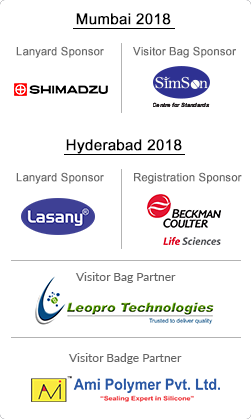 During the show, Messe Muenchen India also signed up a strategic agreement with IPMMA to organize PHARMA Pro & Pack alongside analytica Anacon India and India Lab Expo in Hyderabad. “We have received a very positive response from our exhibitors and visitors. We are pleased that the event proved to be beneficial to all industry stakeholders. We now look forward to the next edition in Mumbai and look forward to welcome stakeholders in the upcoming edition in Hyderabad.” Singh Concluded.